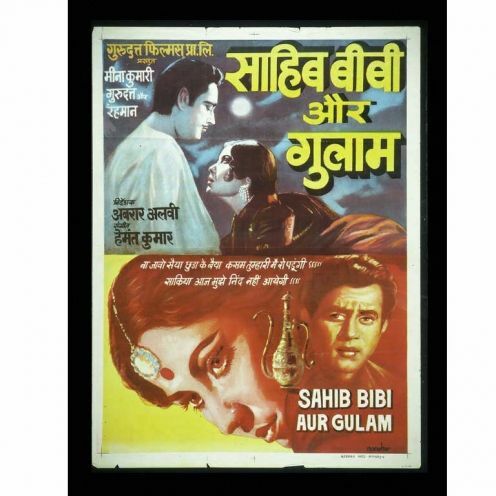 Vintage Bollywood poster. Bollywood movies are popular in the Middle East. I adore dinner parties. Love giving them, love attending them, and love, of course, all of that wonderful eating and socializing. Dinner parties are such a civilized way to re-connect in our GO GO GO world. But let’s face it–dinner parties can be WORK. 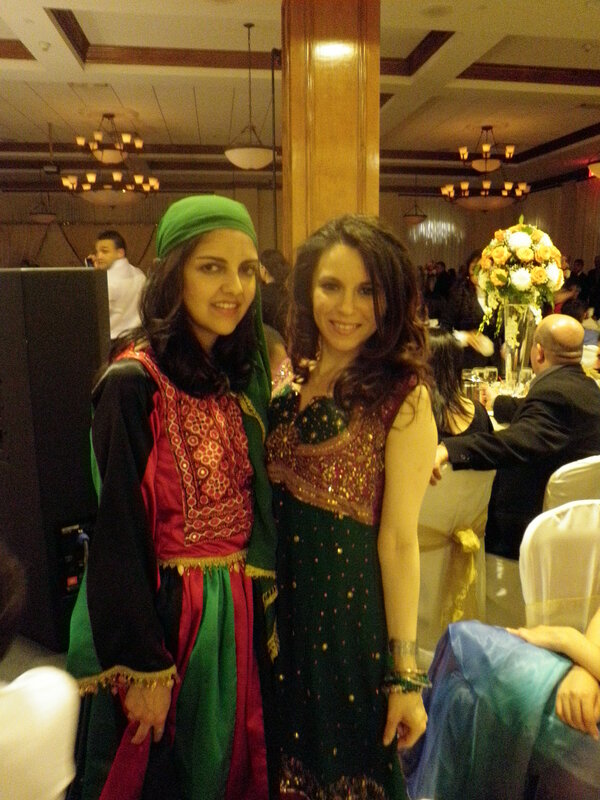 My friend Khat and I at her brother's traditional Afghan wedding in April. She will be at my Bollywood dinner party. 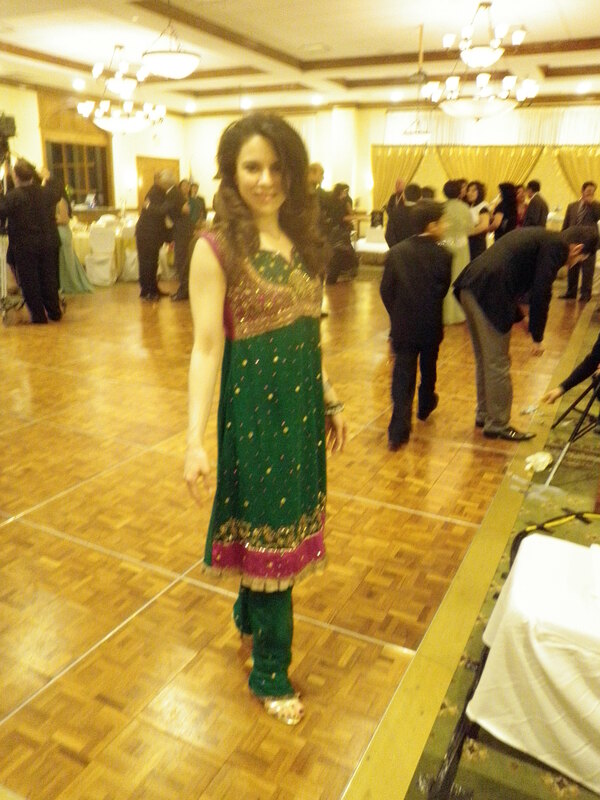 Her dress is a traditional Afghan getup, while mine's a more Bollywood style outfit. It will be a Bollywood Night, complete with a campy Bollywood movie and optional glittery costumes (if anyone is so inclined to go there, wardrobe-wise. I know I am, having a couple of shimmery Bollywood style outfits I’m eager to debut). In the spirit of keeping things chill, I have to say, “Sorry, guests, but no homemade cheese and bread from this kitchen, at least not this time.” To combat the summer heat, our spread will be seasonal, with invigorating and cooling recipes and influences from both Persian and South Asian cuisines. Why South Asian specifically, besides the obvious Bollywood theme? Well, first of all, I just love the cuisines of India, Pakistan, and the many other countries in that whole amazing part of the world. 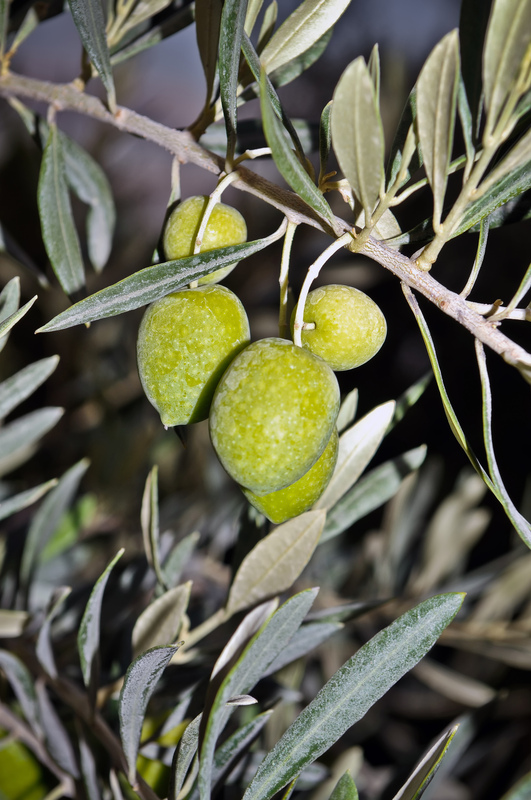 Middle Eastern cuisine and South Asian cuisine have many elements in common, and have exerted their respective influences on one another for centuries. Plus, these cuisines have many wonderful recipes that are cooling. Perfect for steamy summer heat! 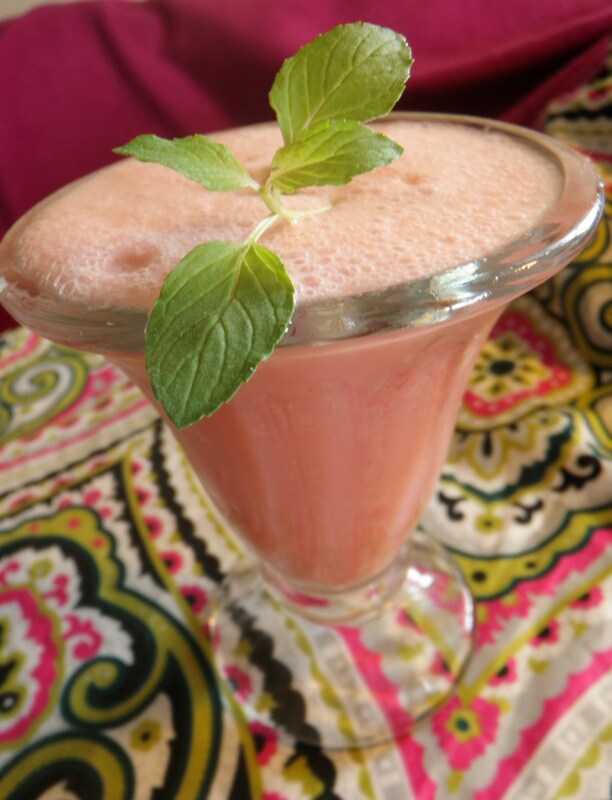 My Watermelon and Mint Cooler. Like a slushy, but much better for you, and better tasting. A pre-dinner Cocktail (and Mocktail) Hour with my Watermelon Mint Cooler as the star. A to-be-determined app, for which one of my friends has signed up to provide. (Key component of dinner parties: let others share in the fun, by either contributing an item of food or drink, or, if they’re so inclined, helping with light food prep or selecting music or lighting candles, etc. Keeps things interactive and who knows, it’s interesting to see what novel ideas our guests have about music or lighting or how to slice a scallion). Salad of roasted golden beets on a bed of arugula with cucumbers and whatever goodies look appealing that day. 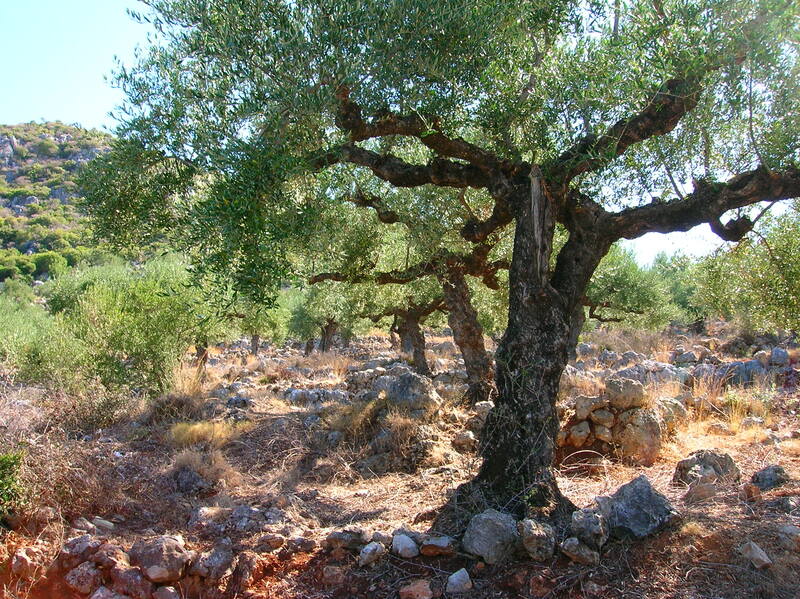 Perhaps a yogurt or tahini based dressing. Something very simple, elegant, and cool. A summery Chilled Avocado Soup I haven’t tried this recipe out, but I simply can’t wait, as I’m in love with avocados and no longer afraid of the good fat they so generously provide! Summer squash kuku sabzi, an Iranian omelette. Love this Persian souflee sans drama! Dessert will be So Delicious coconut-milk based ice creams. Because I’m seriously addicted to this stuff, it has that cooling, South Asian vibe thanks to the hint of coconut, and the company was nice enough to send me coupons to sample some of their product line. Thanks, So Delicious. You’ve just made my dinner party a heck of a lot easier, creamier, and tastier. I’ll be sure to snap some pictures of our festivities, and report back. Don’t wait up, my loves! 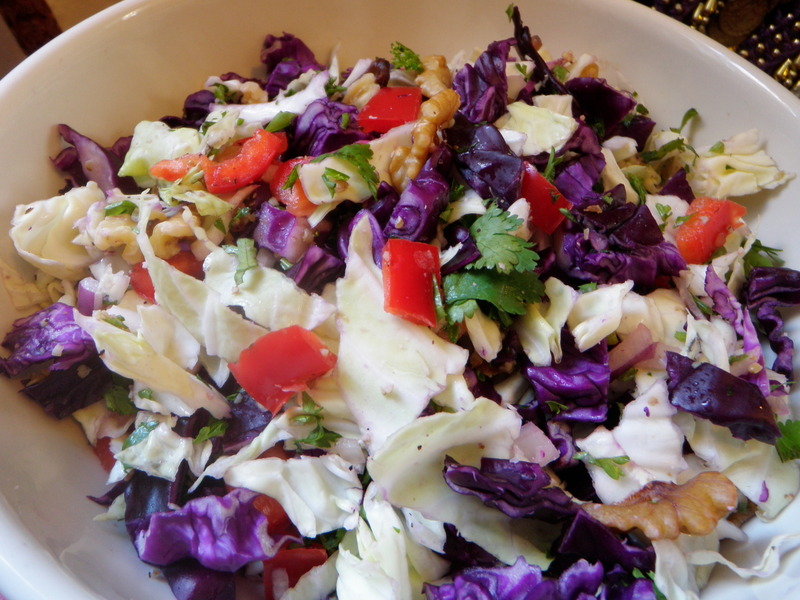 Double Cabbage Salad travels well and is so satisfyingly crunchy! This pic shows the salad naked, but it travels well when dressed. Love that. I love salads. Yes, I’m quite aware that some people might not believe me when I say this. That’s understandable. In too many instances, salads are a lame side dish or something to be “gotten through” en route to the main meal. Let’s take a moment, though, to open our minds to the possibilities. Salads can be so creative, so colorful, and satisfying enough to serve as a meal. 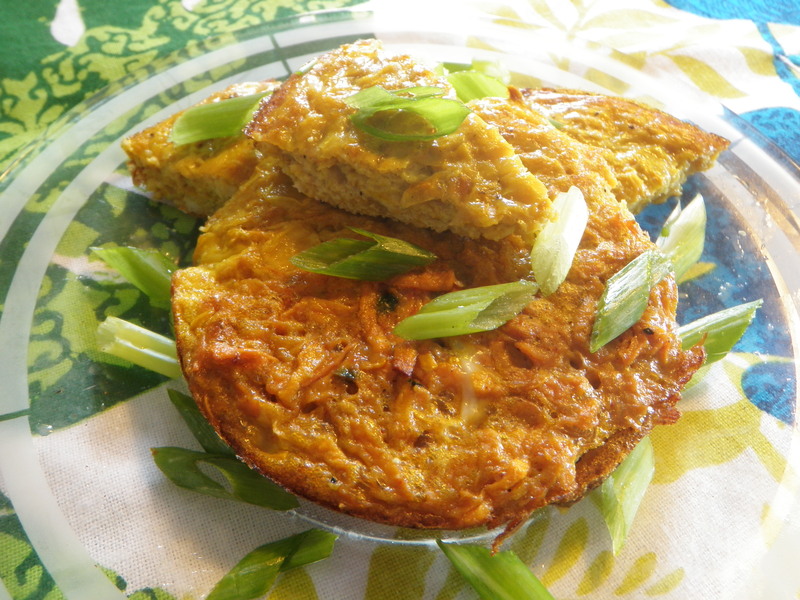 Plus, they’re so energizing–full of vegetables and whatever other goodies your imagination can invite to the party. I eat a large salad for lunch several times a week. I do this for many reasons–it’s healthy, filling, and, assuming it’s the right kind of salad, the meal can be made ahead and travel well. Yes, salads can travel well. Today’s salad, for instance, travels like a real champ. With the right kind of container, you can take the Double Cabbage Salad on the road already dressed. In fact, the cabbages are so sturdy that they hold up well to dressing, and even taste better after having soaked in the dressing for awhile. It’s like a bit of marination on-the-go. 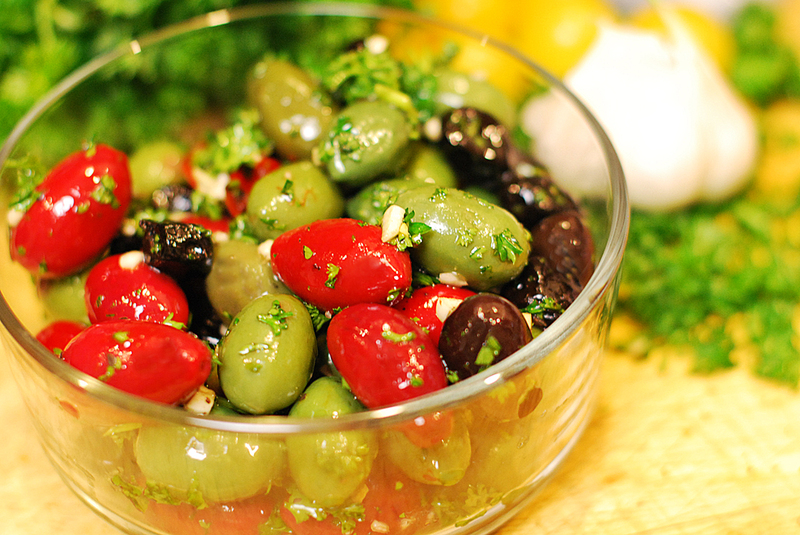 Get creative with the ingredients and toppings for this salad. I love to chop up an avocado right before serving and top the salad with it. My Yoga amiga Renee inspired this dish. 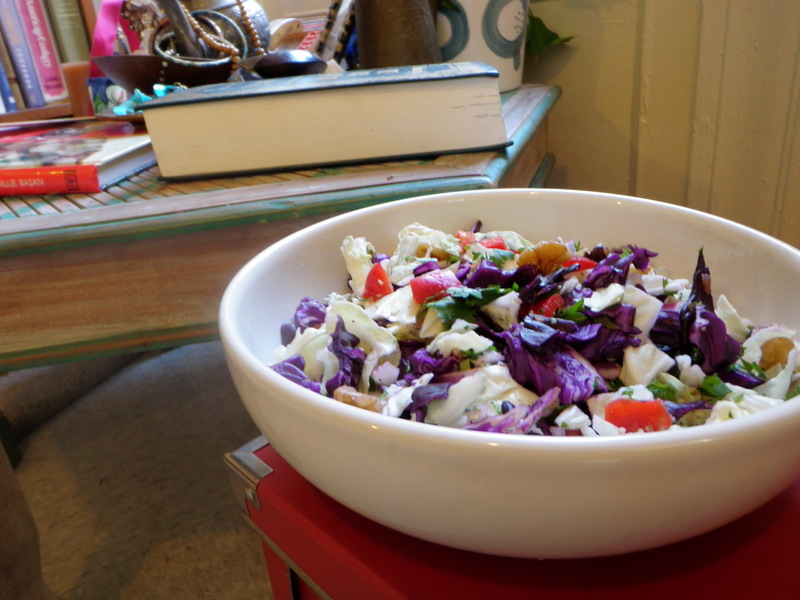 She brought her own cabbage salad to a raw food dinner party some mutual friends threw recently. We all raved at the crunch and amazing taste. Once home, I created my own spin on this salad. Today’s recipe is deliberately imprecise. Feel free to get creative with the ingredients. I sure do! Every time I make this salad, it’s a bit different. Today, for instance, I was out of celery, so I left it out. But I did have red bell pepper on hand, so I tossed in a few pieces for a sweet flavor and gorgeous color. Ok, here we go with a basic template for a Double Cabbage Salad. Feel free, by the way, to post your ideas on what you’d add in the comments section. Optional topping ideas: Avocado chunks (right before serving! ), tempeh, fava beans or chickpeas. 1. In a large bowl, toss all ingredients together. Season to taste with salt and pepper, if desired. 2. Dress with dressing of choice. Cover tightly to store. Filtered water to thin dressing if needed. Directions: Blend all ingredients together in a blender, adding filtered water as needed to thin dressing to desired consistency. Store dressing or use immediately on top of salad of choice. No need to chop anything for today's recipe. Just rip the parsley and cilantro leaves right off of their roots, wash, and toss into the blender with all of the other ingredients. Think whipping up a fantastic salad dressing with just a few ingredients can’t happen unless you work in a chemistry lab of a Major Food Company? Think again. After reading today’s post, you may never see making your own dressing in quite the same light. 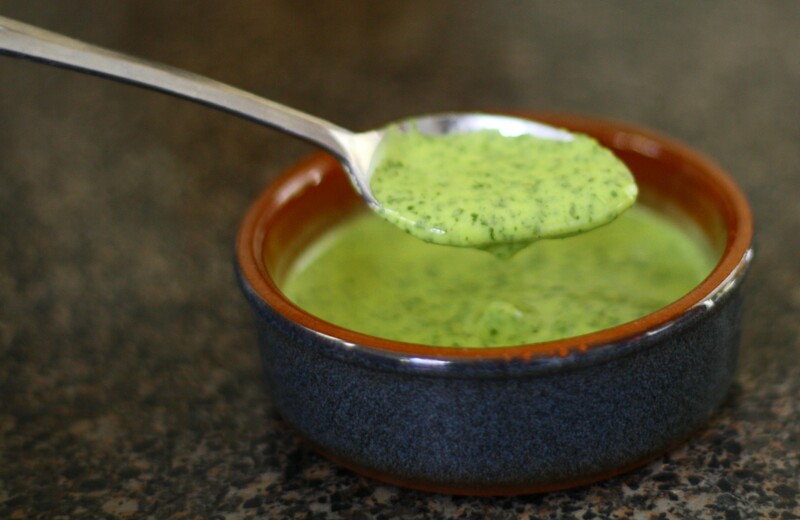 Today I’m showing you how to put together a healthy, clean, and very herbal salad dressing. In fact, once you get the hang of making your own dressings, you’ll start to see the store-bought stuff as sooooo not worthy. I have a love-hate relationship with one of today’s key ingredients–fresh herbs. Love the taste, love the flexibility, and of course, LOVE their invigorating color. But my inability to keep them alive in planters has me walking around with some sort of a complex, convinced I have a black thumb. What kind of woman can’t grow her own herbs? (Feel free to insert your obvious growing-your-own-herbs joke here). This inability to grow my own food may or may not be the case. Herbs can be quite delicate, I’m told. (Except mint. . .that stuff just holds on and on and on!) Other herbs? Sometimes they even have the nerve to go a dry up on me a day or two after purchase, even when kept in a glass with a bit of water feeding them. Whaddup with that? Cilantro (fresh coriander) makes a killer dressing, whether fresh (as in this photo), or sad and drying (as mine was). So today I noticed the cilantro (fresh coriander) I bought not two days ago was looking dry and sad. So was the parsley. Instead of tossing them, or tossing them and feeling guility about the fact that I don’t (yet) compost, I decided to make herb dressing out of herbs. This was a real “use it up” moment–I even tossed in the last of my current bottle of apple cider vinegar to make way for the new bottle I got on sale earlier in the day. 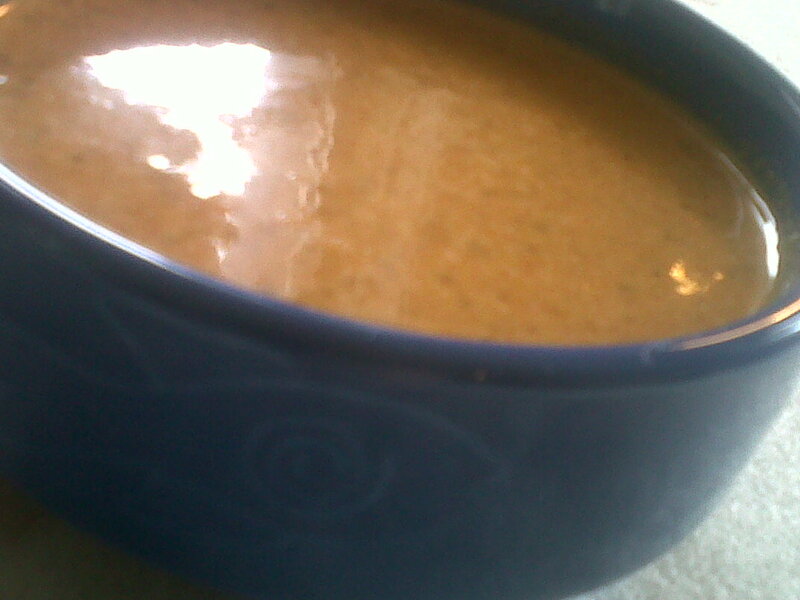 A quick whir in the blender, and voila! A light, fresh dressing that will make every salad this weekend (and maybe a couple beyond) taste bright and, well, herbal. 1. Toss all ingredients except water into a blender. Add enough filtered water to blend. You can always add more water to thin it out if needed. Blend until smooth. 2. Taste, adjust seasoning, and re-blend as needed. 3. Transfer to an airtight jar and store in the refrigerator until ready to use. Remember to shake well before each use. The final product looks a lot like this. I’ll get my own photo up here soon. Have a great weekend, everyone!